Libre Office Writer seems to come with a little triangle on the ruler at 11 cm (the middle of the page) which signals the end of the line. I hope there is some way to remove that line stop because I don't want it there but I can't find anything in the user guide about that. For every document I have to move it over to the end of the ruler and sometimes I have to move it for every single line. 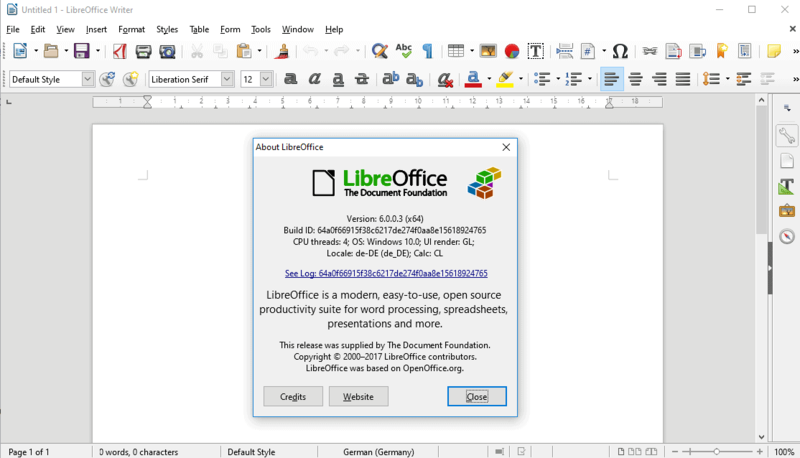 I tried downloading another version of Libre Office but it has the same thing. HELP! That's odd. Check this screenshot - what do you see on your system, where that says Default Style in the upper left corner? The markers on the ruler belong to paragraph settings (and note where they are in that screenshot! ), and are easily adjusted. And what page/document size do you have set? Hi. Thank you for your reply. I tried to take a screen shot and I now have files that show it but I don't know how to insert it here. My Writer page looks exactly as yours does except for having a little grey point up triangle at 11 cm. It says default style. I think it must be a glitch because I haven't created any templates. I am going to try resetting Default. What you describe looks like using some custom document template. You can organize your templates (using menu File->New->Templates), and unset your current default template for Writer (the one with a checkbox) by right-clicking it and choosing Reset default. You can create a new template (if the basic one doesn't fit your needs) and save as new template, setting it as the default. See more about templates in the help. By the way, if the problem is about default style (as I presume), then you can also reset user profile to workaround it. Reinstalling LibreOffice doesn't modify/reset user profiles, so it couldn't help you when you tried, since it's not the program fault, but a user configuration. Another hypothesis ... What you describe could be due to the activation of the direct cursor mode. Hi, Thank you for your reply. The Direct Cursor is unticked.